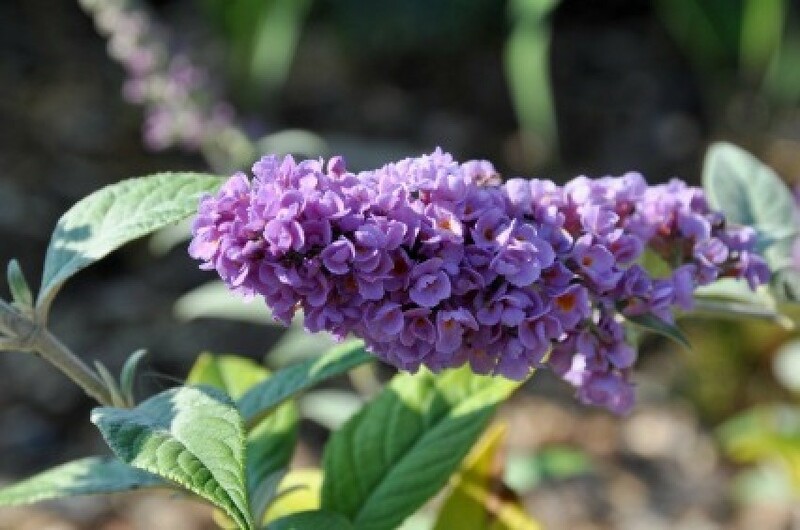 The best time and location should be considered when moving a butterfly bush. This guide is about transplanting a butterfly bush. Can a butterfly bush be transplanted after it has been planted in the ground for 13 months? It was given in memory of my 20 year old son's murder in 7/06. My sister says it will die and I should buy another one, but it was given by my brother and I want THAT BUSH because it was bought for a special purpose! Please tell me it will be safe to move it to my new home. Yes, you can transplant a butterfly bush. I see that you are from Pennsylvania and I think that is gardening zone 5 so it would be better if you waited till spring to do it. I would cut it back some then and then transplant. It should be fine. They are very resilient. If you would like more info HomeDepot.com has a gardening link. In it you will find in the left hand column an "Ask the Experts". Click into it and join. It allows you to ask any gardening questions and a panel of experts will answer you within about one to two days. It is wonderful and has solved a great deal of my problems! I love it. Don't forget to include where you live, [town and state] and the location information. [where you want to plant it.] I like to tell them everything, like if it is a shady or sunny location, what the soil is like etc.. It gives them a lot more ability to give advice. Good luck! I moved one and it died shortly after. I would take some cuttings to root just in case something happens to the original bush. The cuttings root and grow quite easily. If I plan to transplant my butterfly bush in the spring, should I prune before I transplant or transplant and then prune? Butterfly bushes do best when pruned before transplanting. You want to chop it back as much as possible, dig up as much of the root ball as possible, and replant very soon. It may take a year or so to grow back to full size, but that isn't usually a problem. You can cut them back whenever you need to, but definitely every fall/early winter so they don't get storm damaged. If you don't prune them, they get way too big for the space! I transplanted a 6 foot, 2yr old butterfly bush today. Now I am wondering if I should have waited until spring. It was over-crowding everything in my garden. I feel that I got a substantial root-ball and I will mulch it very well. I do not intend to cut it back before spring. Any suggestions or re-assurance would be very welcome. Most important is keeping it watered and letting the root system get going again. If you normally cut it back before spring you can still do so. As a matter a fact it may help the plant get established to cut it back. Buy trimming the branches up top you will generate growth in the root system. I just transplanted a butterfly bush that was about 2 years old. I didn't read until today that I should have pruned it back before I transplanted it. Is is too late for me to do it now? It's about 6 feet tall and now I'm worried about the possibility of damage over the winter. I don't know if this has already been answered in the archives, but can you transplant a butterfly bush in the fall, or should I wait till spring. In your zone, transplanting can be done in either the spring or the fall. If you decide to transplant it in the fall, wait until the foliage dies back. Although the plant is entering a dormant state above ground, the temperature of the soil will stay warm a while longer and the roots will continue to remain active. This allows the roots enough time to become established, which will get them off to a faster start once warm weather rolls around again in the spring. For gardeners in colder zones, it's probably best (and safest) to wait until the spring for transplanting due to the probability of unpredictable fall weather. Plants should be moved before new growth gets started. Butterfly Bushes are pretty tough, so if you are desperate to transplant one in the fall, go for it. My experience has been the same, but call a nursery if you're not sure. I grew up in Ohio, and if my memory doesn't fail me, when I was in the 6th (?) grade, we went to or near Chillicothe on a field trip. I believe to Schoenbrunne Village--not sure of the spelling. That was over 35 years ago, but I still remember how pretty everything was. What should I do besides watering after transplanting a very large butterfly bush? Should I fertilize or cut it back?